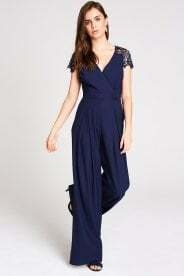 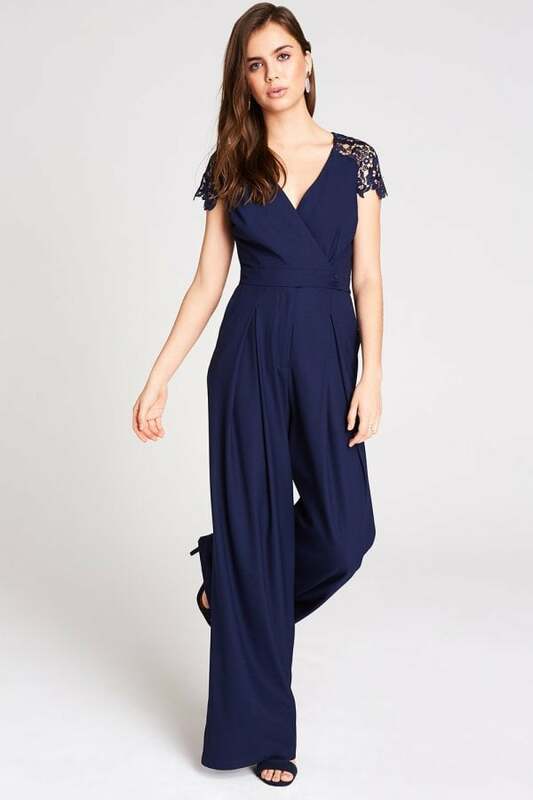 V-neck jumpsuit with crochet lace bodice and tie back detail. 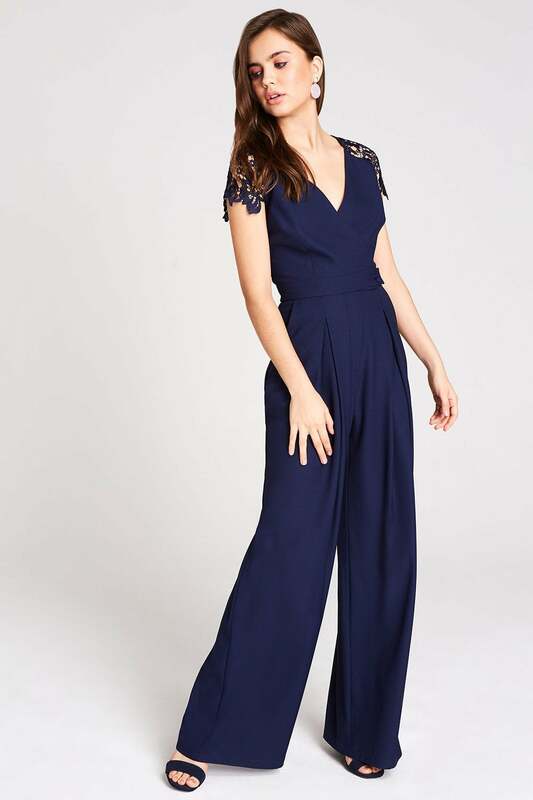 Long trouser with pleats at the waist seam and concealed zip fastening. cool hand wash / do not bleach / do not tumble dry low iron / do not dry clean / wash with similar colors.